VACAVILLE, Calif. (KGO) -- If you're looking for dogs to adopt -- may we suggest the SPCA of Solano County; they have 25 Chihuahuas looking for a forever home. Over the past three months the shelter rescued 80 Chihuahuas from one home. Their owner was an elderly woman who got overwhelmed by the sheer number of dogs. 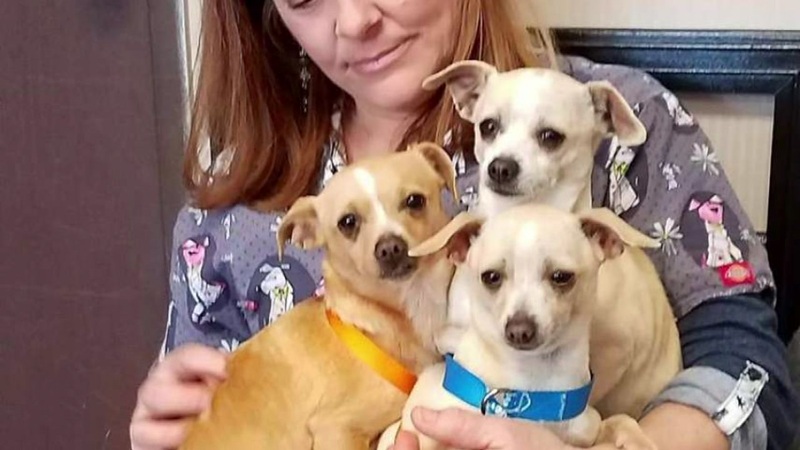 Because of the precarious home they were rescued from, some of the Chihuahuas still need surgery, but they are cute -- and need a home. Click here for more stories on pet adoption.